Available throughout Malta and Gozo. Please note that we are registered as Photographers with ETC, registered for VAT (and VAT is recoverable on wedding photography) and carry full Liability Insurance. Fiscal VAT receipts will be issued. 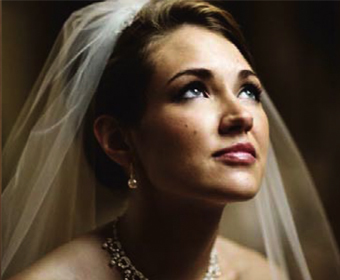 Even our money saving Basic Wedding Photography package includes features that many others do not, or cannot offer. 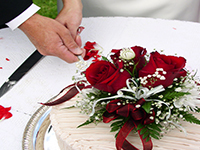 Ideally suited for small affairs, maybe a registry office marriage ceremony or smaller group. It includes 6 hours of a professional photographer anywhere in Malta or Gozo and at least 100 high resolution photographs on a DVD. The best 40 photographs are also used to create a unique mini-album booklet, available within 48 hours - 5 copies are supplied free and additional copies can be purchased. This package includes up to 9 hours of a professional photographer and covers the pre-wedding arrangements for the Bride as well as the ceremony and the reception. At least 250 photographs are supplied on a DVD and the best 60 photographs are used in the mini-album with 10 copies supplied free (additional copies can be purchased). You will have the luxury of TWO of our professional photographers available for up to 9 hours and they will start by covering the pre-wedding arrangements for the Bride and the Groom, and will then cover the ceremony, reception and party. At least 400 amazing photographs are supplied on a DVD and 40 of the very best will be professionally edited and the best 60 photographs are used in the mini-album with 10 copies supplied free (additional copies can be purchased). 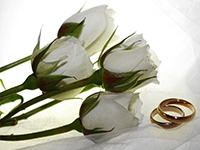 Taking place either the week before or the week after the wedding, this includes a professional studio shoot for the Bride and Groom and Bridesmaids. 40 of the best photographs are professionally edited and supplied on DVD. During the Reception/After Party, a lighted mini studio is setup and during the reception, guests can have their photographs taken with the Bride and Groom and INSTANTLY printed by our photographer. A choice of backdrops is offered including green screen and all photographs are supplied on DVD and online, allowing guests to download their own pictures. As a professional print and framing shop, we can advise and supply any of the photographs printed and framed to any size. As we supply the photographs as full resolution images on the DVDs, you are of course free to have them printed and framed anywhere. 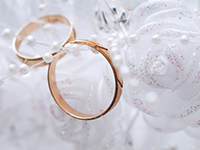 We can advise and supply a wide range of finished and bound Wedding Albums. Our mini-album booklets are provided within 48 hours of the wedding and provide a great way of giving a gift or memory to guests and those who could not attend, however the bound Photo Album is a keepsake that will last you a lifetime. We can design and supply a complete range of Albums for a wide range of budgets. Of course you need invitations and various other printed materials and we are here to help. We can design and print invitations, envelopes, table decoration, place holders, menus etc on a huge range of specialist papers and card stock, so talk to us about what you need. Also, don't forget to ask us about our amazing 'Flips' - a true piece of paper origami that can be customised with up to 16 photographs of the Bride and Groom's early years and forms a unique and entertaining table placename card that will amuse and entertain guests as they take their places at the table. All Packages require a booking deposit equivalent to 1/3rd of the final contract cost. If the booking is cancelled l6 months prior then the deposit will be refundable otherwise it will be refundable only if the date can be rebooked. A second payment of 1/3rd shall be due and payable 1 month prior to the date and the final 1/3rd shall be due and payable upon release of the DVD after the event.